Dan began his career in public accounting as a tax intern with a regional firm in 2006. He has since developed an astute and broad knowledge of all things tax and is now a Principal at D&S. Since joining D&S in 2013, Dan has exhibited an intellectual curiosity that enables him to build client relationships and manage diverse teams of tax associates. Through collaboration with investment advisors, attorneys and family managers, Dan provides comprehensive tax planning and compliance services. Though well versed in a wide variety of tax areas, Dan focuses on tax planning and compliance for high-net-worth individuals, their families, and their enterprises including the taxation of pass-through entities and foreign disclosure-related compliance. 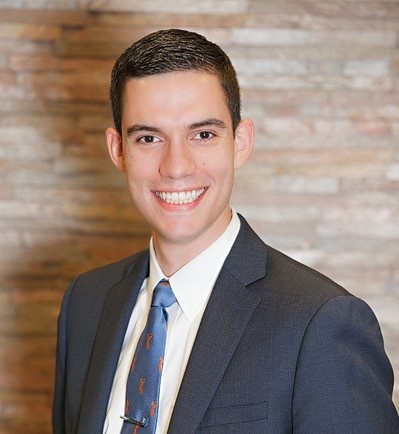 Prior to joining D&S, Dan was a senior tax accountant for a regional accounting firm where he focused on assisting high-net-worth individuals and their families with tax compliance. Dan holds a bachelor’s degree in business administration, with a concentration in accounting & finance, from Drexel University. He holds a Master of Taxation degree from the Villanova Law School Graduate Tax Program, where he was awarded the Bartley Medallion in recognition of outstanding achievement in the discipline. It is the school’s highest honor bestowed on a graduating student. Dan is an active member of the American and Pennsylvania Institutes of Certified Public Accountants as well as the New Jersey Society of Certified Public Accountants. He is licensed to practice in both Pennsylvania and New Jersey. Dan enjoys traveling to his family’s native Portugal, and playing soccer and golf. He resides in Cinnaminson, NJ, with his wife, and two children.